Please be informed the Allied Health Sciences Student Society (HEALS) in collaboration with Department of Visual Science (DOVS) is going to organize the World Sight Day 2018 on 11th & 12th October 2018. 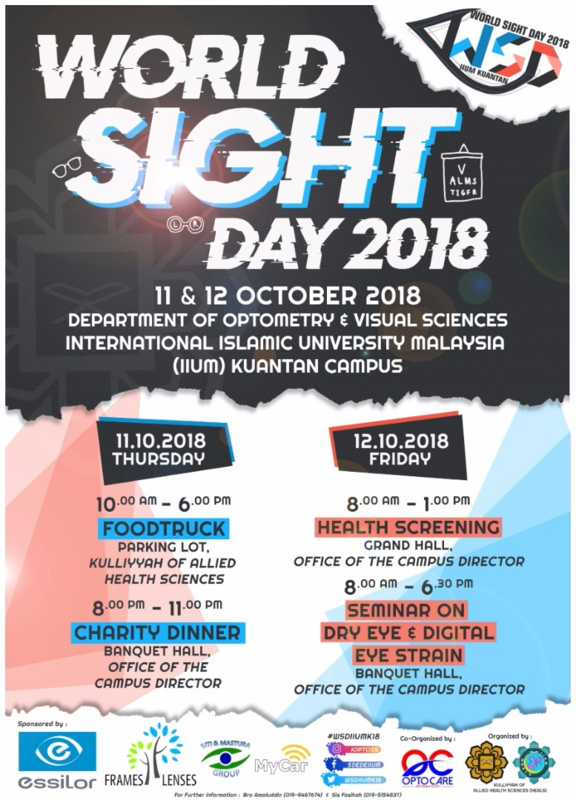 This programme consists of various interesting events such as Seminar on Dry Eyes and Digital Imaging, Food Truck, Charity Dinner and Health Screening. Detail of each event can be found on poster attached. All KAHS community are invited to these events!.